This entry was posted in new poem and tagged cycles, death, depression, menopause, nature, women by Susana Rinderle. Bookmark the permalink. I love this. I felt a strong “Me, too! Me, too!” surge reading this as it voices how I, too, have been feeling — particularly this month. 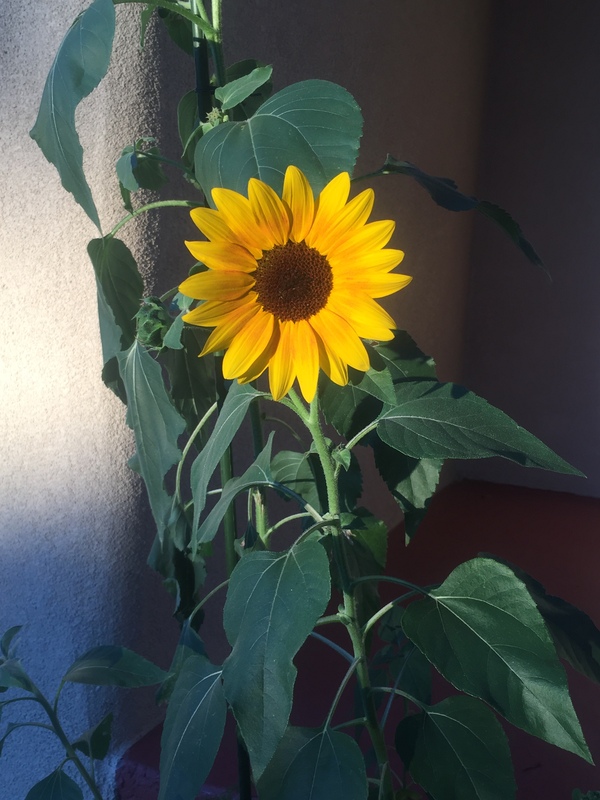 Also, I realize how deeply personal and internal these transformations & feelings can be, BUT from where I stand, you are ALREADY my sunflower friend! A gentle reflection—thanks for sending it on. Made me think: sunflowers (des tournesols) were a big thing in Tunisia, huge farms—as a food crop—the seeds were an important fast food for many, esp. adolescents. Sold in bulk with the husks on—in a movie with kids, it could sound like muted machine guns going off, as they removed the husks IN their mouths, and spat out them out & ate the inner seed—friends of mine from the States went to a Vampire movie in Tunis, and loved the background noise from the sunflower seed (des glibettes—nice term, no?) eaters all around them. Others didn’t! Thanks H! I love your reflections and nostalgia, very precious. Indeed “girasoles” are powerful, ancient lovelies in many parts of the world!